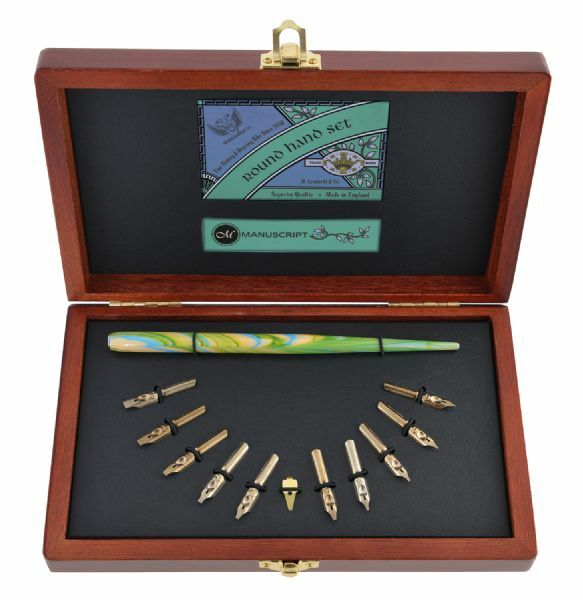 Beautifully presented in a Victoriana Style Chestnut wood case with a modern treatment of our traditional labels the Collector's Round hand set is a calligrapher's ideal gift. * Recommended for creating Italic and Roman calligraphy scripts the Round hand nibs produce sharp clean lines and are sturdy enough to withstand a heavy hand but will also flex to give pressure and release. 8.5" x 5.24" x 1.57"